Our ethos is not only about caring for the people who come to us for help but also caring for one another, the wider community and the planet itself. 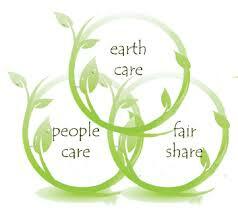 Where possible we use natural products sourced from either local or fair-trade companies. We have a list of criteria when looking for new products these include locally sourced, organic, cruelty free and environmentally friendly companies. Our pricing is fair and structured in a way that makes our services accessible to everyone. Victoria also offers skill exchange opportunities for one:ones and workshops. Purchased paper is recycled or FSC. Printing is where ever possible done with vegetable inks and by an ethically conscious firm. We care deeply about where our products come from and how they are produced. We are continually looking at ways in which we can better support the planet and the people on it by finding products and suppliers that meet our ethical criteria. Using a holistic approach Complementary Therapies consider the mind, body and spirit of the individual receiving treatment. We take in to account factors and elements that affect the person on a physical, mental and emotional level. This involves gaining an understanding of their needs and building a rapport with the individual client. Empathy with and value of the client are of the utmost importance. There is no judgement or prejudice only a caring and professional approach to improve the wellbeing of the individual by offering relaxing and soothing treatments along with informed, natural lifestyle advice and support. We value and adapt to the individuals belief system and culture with respect and care. Our role is one of empowering individuals on their own healing journey. We do not claim to fix or heal anyone. We offer treatments, tools and support to enable the individual to better cope with their own health and wellbeing. We do not make assumptions about their needs but explore them from a holistic stand point. We are all dedicated to continued professional and personal development.